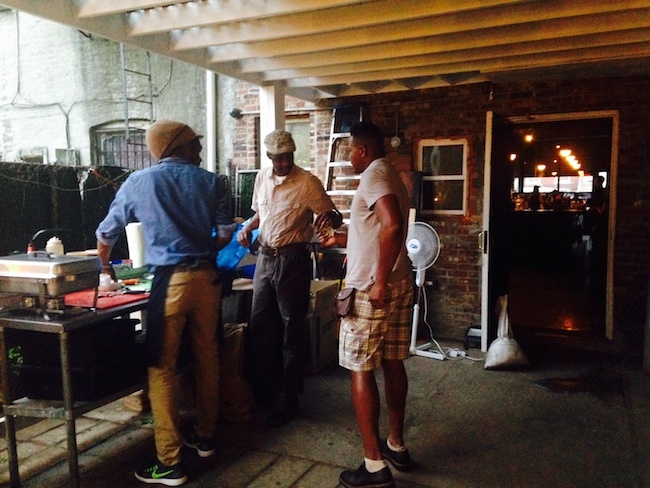 Last Thursday I stopped by Bed Vyne Cocktail for a few drinks, and found The Jerk Shop setting up shop in the back patio. They were serving pork, chicken and salmon with a salad, and each selection cost $10. I sampled the pork and chicken, both amazing, and ordered the pork. Turns out the Jerk Shop will be serving every Thursday in the backyard of the bar. They’ll give out free samples around 7:30pm — and nothing tastes better with a cocktail than free samples of meat — and then serve until around 11pm. You can also catch The Jerk Shop on weekends at Lewis and MacDonough. To keep track of their whereabouts, follow them at The_Jerk_Shop on Instagram.